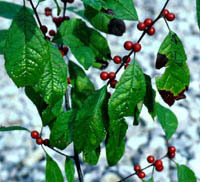 Winterberry got its name from the bright red fruits that cover the limbs all through the winter. 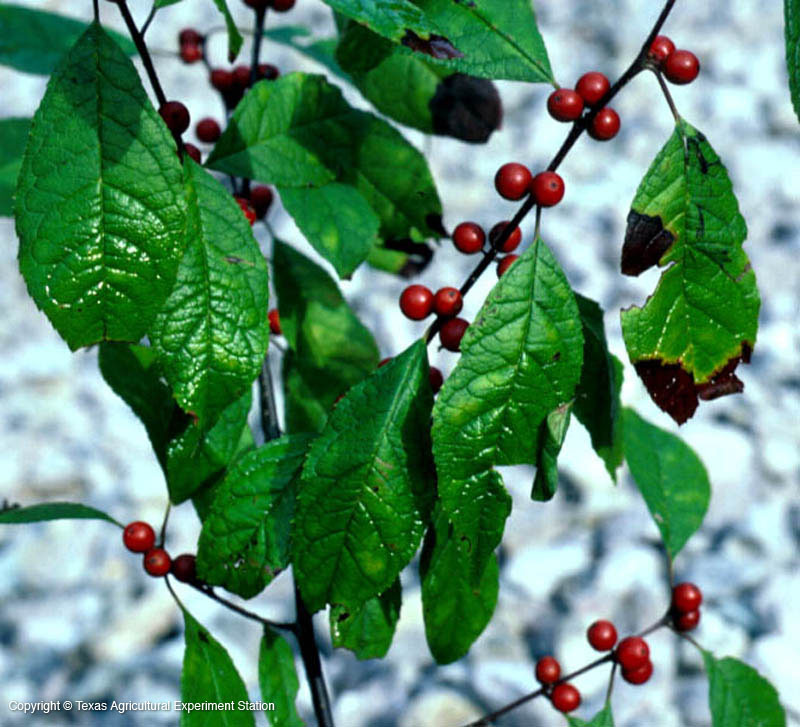 It is a small deciduous tree that grows in wet areas in Texas; it wasn't discovered here until 1959, although it is common in the southeast. 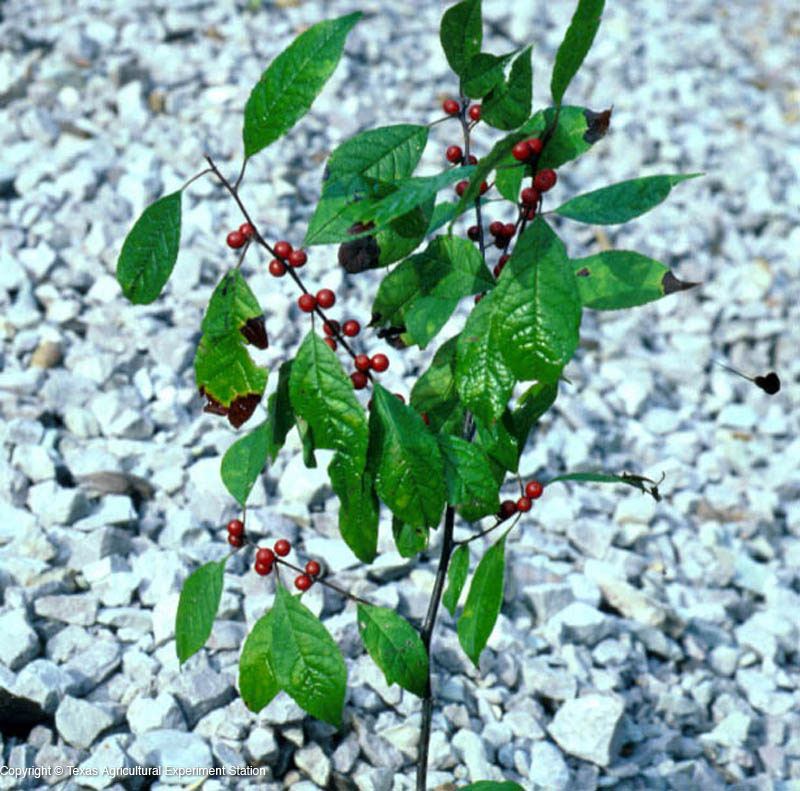 It is different from other native hollies in that its leaves are large, up to five inches, and its flowers usually have more than five petals and calyx lobes.